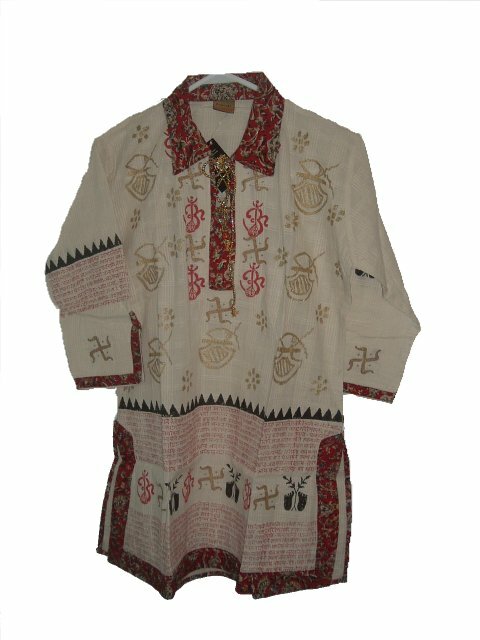 Cream block-printed tunic/kurti in comfortable cotton. 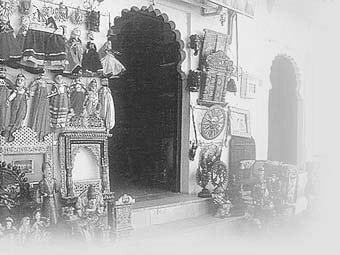 The block print is very traditional and are in red and gold color. There is a red trim along the base and neck. Side vents and three-quarter length sleeves.